The recent announcement by the Office of Fair Trading (OFT) that they received a whopping 68,000 complaints about used cars in the UK last year was disappointing to say the least. In the wake of the OFT launching a market study into the sale of second hand cars in this country we decided to delve a little deeper into the figures and try to draw some informed conclusions about what might be happing, not to pre-judge the results of the study but rather to get our head around what might actually be happening. The way the complaints break down certainly makes worrying reading not just for buyers but for car dealers across the board. 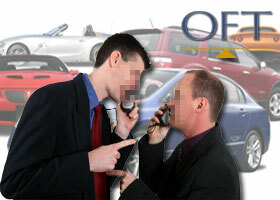 As we know the OFT received a total of 68,625 complaints in 2008, specifically on used cars, and of those grievances 15,230 related to franchised dealers i.e. those which represent a manufacturer, 47,019 from Independent dealers including supermarkets, 4,379 from private purchases and 1,997 from elsewhere, presumably from auctions, importers and the like. Although the volume of complaints themselves is of great concern, perhaps more worrying is that these complaints represent people who bothered to take matters this far. This could very well be the tip of the iceberg in terms of the number of dissatisfied customers. Let’s face it, a far greater number of complaints would probably have been dealt with “in-house” before reaching the OFT and an equally large number of unhappy customers would probably have lost the will to live and given up. Speaking with some experienced dealers about these figures the general consensus was they’d be amazed if very many of these complaints related to franchised dealers because, in their view, the complaints simply wouldn’t have been allowed to reach that stage. Well it’s time to guess again and change “wouldn’t” to “shouldn’t” with a staggering 15,230 complaints doing just that. For the franchise dealers this figure of more than 15,000 people deciding to take their complaint as far as the OFT means that even with supposed robust and vastly expensive manufacturer backed customer care programmes, these people could not resolve their grievance with the dealer and their supposedly slick customer service machine. This level of failure really is staggering given the focus that car makers place in this area. There could very well be some customers who may now be so fed up with the experience that they do not even bother complaining to the dealer who supplied them but go straight to the OFT for help, which again is a damning indictment of the breakdown in trust between buyer and seller. Of course, it has to be said that we have become such a litigious society, some consumers are, perhaps prepared to complain right to the top as it where, for the most trivial of problems – which may have been easy to resolve – in an attempt to claim some kind of compensation. We should also point out that the OFT give no information on the validity of the complaints so we have no way of knowing how many of the complaints they received where spurious at best. We would guess that on both sides there is probably fault and mistrust, and without having the information to compare dissatisfaction with other types of retailing experiences we cannot point the finger entirely. However if over 68,000 buyers of used cars have felt it necessary to complain to the OFT then the industry still clearly has a major problem. Although we at MTI are convinced that the majority of dealer groups and smaller independent traders are committed to providing a great service and are endeavouring to improve the image of used car sales in this country, it is clear that there is still a long way to go. The fact that many disappointed drivers have had their buying enjoyment ruined by being undervalued means that there are still too many sellers of used cars who are in it for a short term quick buck instead of building long term, sensible relationships with clients. Auction fever – who can predict the outcome?